He worked on it for two days. He twisted it at night. He pushed it around with his tongue during the day. He brushed it extra hard. And this morning, Henry finally lost that front tooth. Get out the martini glass. A bit of a slow news weekend at Fry Lodge. 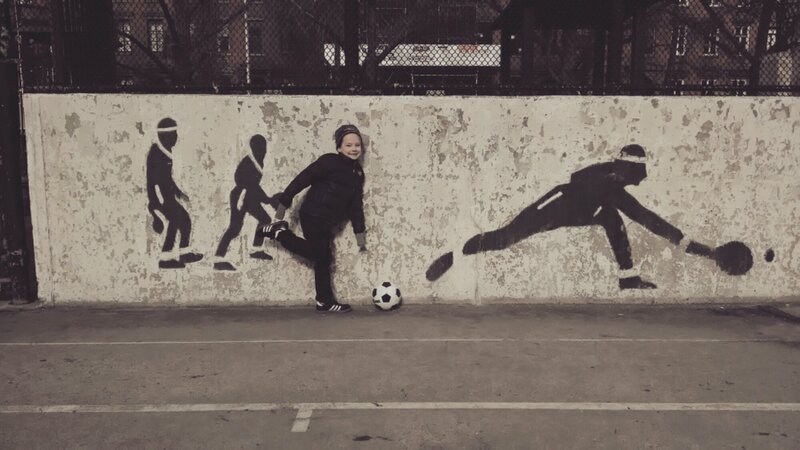 Henry and I practiced shooting soccer goals on each other in the park. Ruby bought herself a new wardrobe, complete with some interesting fashion statements. The Seattle Seahawks won the NFC Championship. 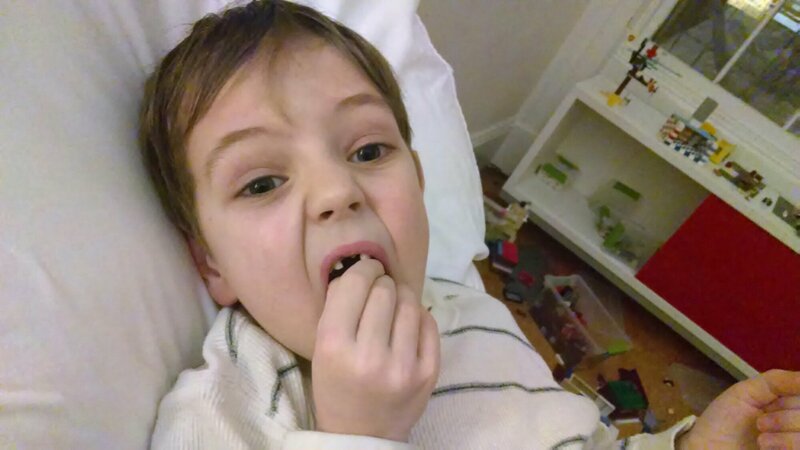 And Henry, while chasing his sister (under Dad’s watch, no less), smacked his mouth against his knee – nearly knocking out his one remaining front tooth. There was blood. The tooth currently hangs by a thread. Henry refuses to let us yank it out. Although, when I told him that the Tooth Fairy pays double for self extracted teeth, he started wiggling it around. That was our 3-day weekend. 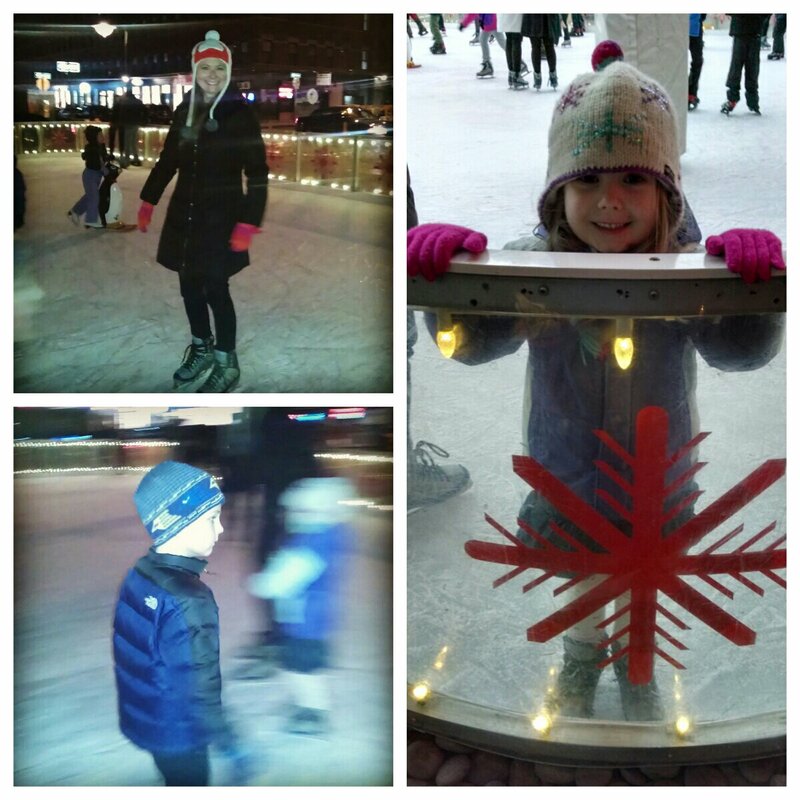 The Fry Family tried a new activity on Sunday – skating at the ice rink outside of The Standard. My “bad knee” prevented me from getting on the ice, but I’m tempted to try it next weekend. Henry might be the next Brian Boitano, by the way. He’s a natural. The Fry Family Quartet made a pitstop in Seattle Friday night before our Saturday flight back to NYC. We stayed with our friends, the Gallaghers, who took us bowling. 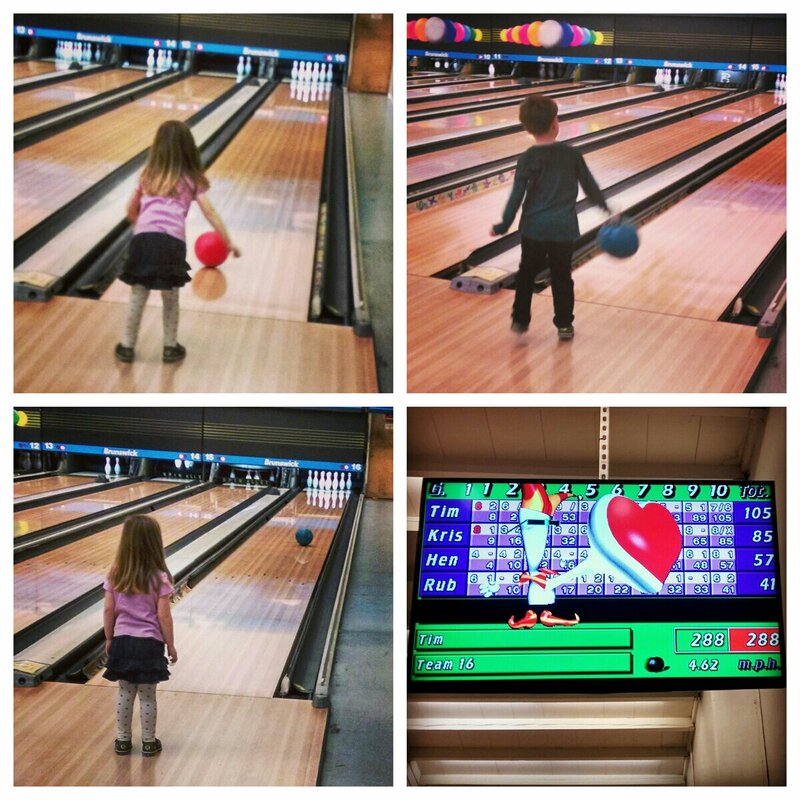 We only had to call the bowling alley staff twice to retrieve balls that didn’t quite make it down the lane. Good times. Thanks, Amy and Dan. When we moved to New York, we decided that we would return often to Lopez Island, our favorite place on the planet. So far so good. 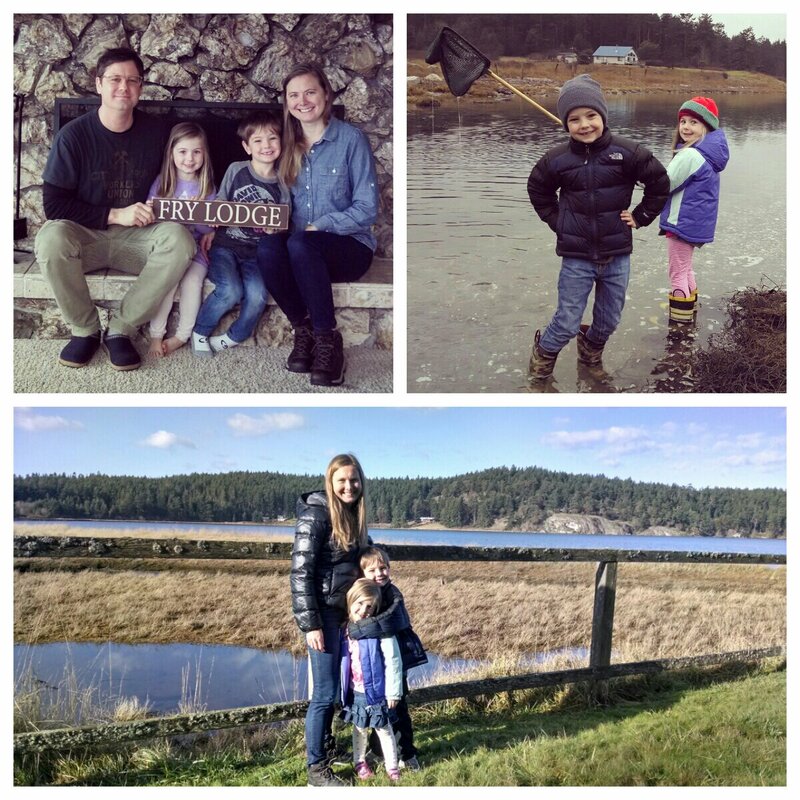 Today we wrapped up an eight-day vacation at Fry Lodge Mud Bay. We were joined for most of it by Carl and Kaye, who were of course great house guests and babysitters when we needed it. We love it up here, and we now can’t wait for Spring break. As I write this, there’s a blizzard in NYC. 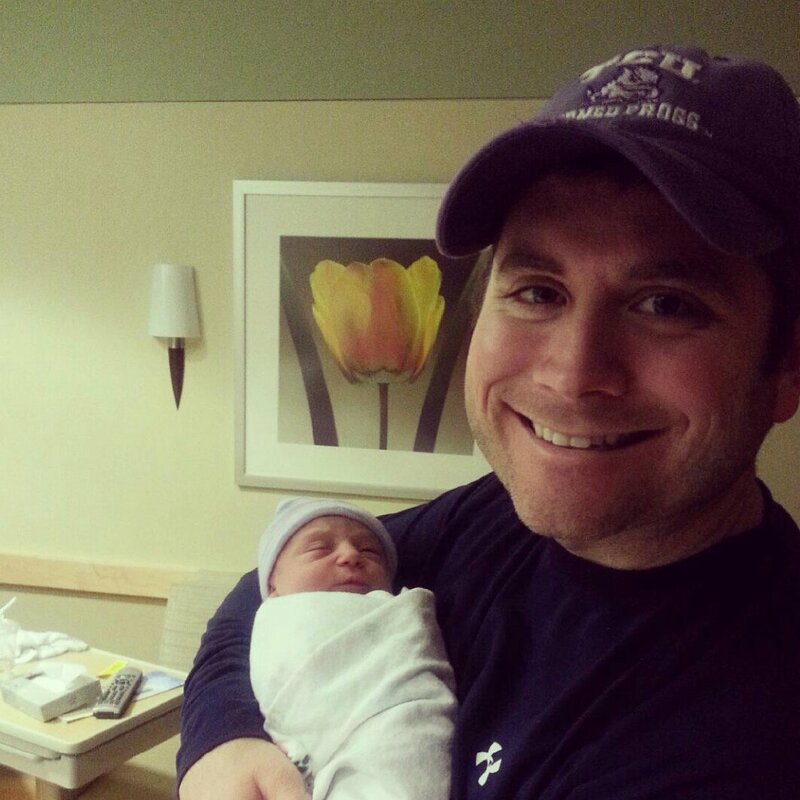 Henry and Ruby are starting 2014 with a new cousin, Lauren Barbara. She was born this morning at 11:54 AM. Congratulations Paul and Leah! Can’t wait to meet her.